When running a business, it never hurts to be absolutely sure. After all, your confidence in what you offer isn’t based on how you feel (or some other abstract, subjective value) but the quality and the results that your cleaning services provide. How should you be any different with regards to pursuing leads? You buy a contact list and think that’s all you need to know. You use a method that has been hailed as a success even though you have no prior experience with it. You make many other assumptions by citing the same benefits and features without so much as paying attention to an individual business’s needs. You don’t even have a plan that considers the role of budget and the role of the decision maker you’re calling. As you can see, it’s clear why they’re only meager assumptions and not the commercial cleaning leads you’re looking for. 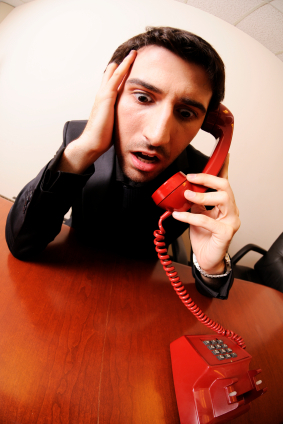 Janitorial telemarketing will need more than just a list of numbers and a fancy marketing script. For one thing, both methods require data. Sure you might think that contact information is one form of data. And yes, it’s true that you can’t even start without it. However, is that all? Of course not. There are so many ways that other factors can determine your success (or failure). Knowing who to call saves you the trouble of navigating a business’s internal network (especially if it’s one of the larger corporations). You will need to know exactly what would put them in need of some good janitorial services. Budget obviously tells you if they can even afford enlisting your aid. Finally, experience is needed for you to come up with a set of strategies to really put the above to good use (or at least, get yourself some professional telemarketers to show you how it’s done). The main point in all this though is to refrain from making too many assumptions about your target businesses. Some people will tell you to trust your impulses but the success of that approach is not high in the world of business. Its worst manifestation is that it leads to acting on bad assumptions. These in turn lead to misunderstandings and those eventually culminate in a bad, business relationship. Information is both the prevention and the cure for that. What’s more good news is that there is no shortage of ways to get it. You can invest some time and money in your own database or outsource lead generation services in case you have neither to spare at the moment. The information you get will help refine your attempts at a sale and grant more accuracy to your marketing efforts. Again, there is a fine line between a qualified sales lead and mere assumption. It never hurts to make sure but the only way to make sure is by doing your homework and acquiring a reasonable amount of information to refine and justify your attempts. Despite how it sounds like at first, telemarketing for janitorial companies is an authentic B2B practice no different from processes like lead generation for accounting firms. Cleaning places like offices, buildings, and other large establishments is no mean feat and should not be taken for granted. There wouldn’t be entire companies investing themselves to providing this service for others if it wasn’t such a large undertaking. With that established, its important for you to be selective when outsourcing a telemarketer for leads. Naturally you may not be able to afford the costs of creating and maintaining your own in-house team. What you really just need however is the information found within qualified leads. It’d be hard to call them qualified though if your outsourced company doesn’t know what it means to identify janitorial leads. That’s one thing to keep in mind when choosing the right candidate: industry expertise. There are plenty of B2B telemarketers out there because the phone still remains to be a common channel of business communication. Still, with that many, it’d pretty hard to choose so have set criteria for discovering the right one. Listing industry expertise is a good place to begin. Start by checking if their personnel are familiar with subject matters pertaining to office cleaning and identifying the usual ones in charge of evaluating the neatness of their work environment. For there, you can determine if the have the necessary communication skills and appropriate information to get the job done. You’re not just looking for any group of professional telemarketers to get you leads. You need ones who know how to get those with the ‘janitorial’ label.